After poring over the hundreds of stage productions, concerts, and art exhibitions mounted locally between May 1, 2015, and April 30, 2016, the members of the Austin Critics Table have agreed on the most outstanding work in dance, classical music, visual art, and theatre in the past year and announced the nominees for the 2016 Critics Table Awards. From their joint concert last month in Bates Recital Hall, Anton Nel and Bion Tsang have both been nominated in two categories: best Chamber Performance and best Instrumentalist. 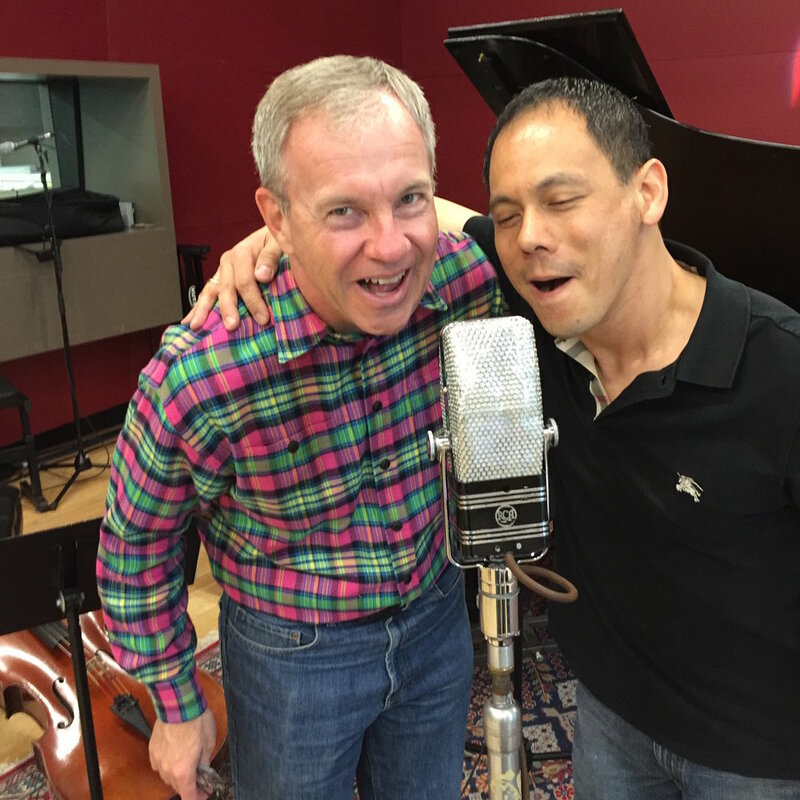 Earlier today, Bion Tsang appeared with pianist Anton Nel in KUTX's Studio 1A on Eklektikos with John Aielli. Afterwards, Anton and Bion had a little fun crooning into the classic 1930s RCA ribbon microphone that was used to record the broadcast. The U.S. Presidential Scholars Foundation and Alumni Association spotlights Bion Tsang in the latest edition of their newsletter The Medallion. The Presidential Scholars Foundation cultivates, connects, and celebrates U.S. Presidential Scholars – past and present. The Foundation’s goal, in partnership with the Presidential Scholars Alumni Association is to advance the arts, culture, business, education, and civic life of the nation by connecting U.S. Presidential Scholars locally, nationally and around the globe to each other. Each year, only 161 students are named U.S. Presidential Scholars, one of the nation's highest honors for high school students. Newly named scholars are honored in Washington D.C. during a National Recognition Program. The Scholars, who come from all walks of life and excel in their academic and artistic achievements, represent the promise of greatness in young people and go on to be influential in their fields.